Why spend a fortune on renovating your room when you can give it a new and refreshing look in minutes using cool looking bed sheets! Bed-sheets were initially looked at as a utilitarian item. Today, bed-sheets can change the look of your room and hence, people now choose bed-sheets based on their personality and mood. Plain v/s Print – What’s In? Keeping in mind the ongoing season, it is best to go for pastels or light colours as they do not generate heat. 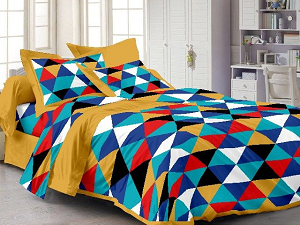 However, when it comes to overall demand and sales - printed bed sheets are beating plain light coloured or pastels especially graphic rich prints. They are a hot favourite type of bed-sheets right now. Most people prefer stripes and jacquard prints. Earlier, most people only preferred plain bed-sheets or white bed-sheets as it was merely considered as a fabric to cover the bed. But now, the trend has changed and Indian market is getting exposed to global fashion. In most countries, bed-linen is looked at as an important accessory to enhance the look of the room and India is getting into this boat of choosing the right bed linen. The type of bed-sheets in the room says a lot about the personality of the one staying in it. 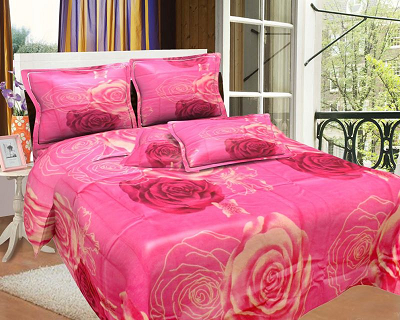 A bed-sheet should not just provide a comfortable sleep but also portray your personality in the right way. If you like a calm and comfortable setting in your room, you can go for pure cotton bed-sheets in solid colours or prints. However, if you are a fun and lively personality, you can opt for bed-sheets with bright coloured graphic prints. Earlier, people used to check the quality of the bed-sheet based on the thread count and the type of fabric used. Now, you can use your bed-sheet by looking at certain simple attributes. For instance, a superior quality bed-sheet must be made of a fabric that is water repellent, infection proof and can absorb tea and coffee stains. Besides quality and looks, one must focus on these points too. Besides your own outfits, you must also choose your bed-linen considering the time of the year. People have been always conscious about appearance according to the season. Come summer and people start wearing shorts. Similarly, people switch to thermal wear during winter season. Bed-sheets must also be chosen on the basis of the season. 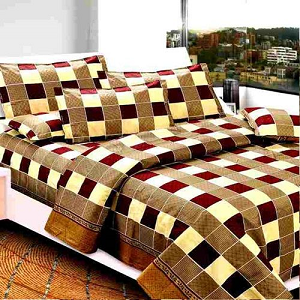 In India, people buy bed-sheets based on its print and patterns whereas people prefer solids and jacquard prints globally.